One of the cult cars of the sixties, the Mustang strengthened its image in a series of Hollywood films before gaining instant success in 1968 as the iconic &apos;Bullitt&apos; car. Steve McQueen&apos;s epic high-speed chase through San Francisco confirmed the Mustang as a timeless classic, and this fully restored example, manufactured in 1967 with the fastback body and 6.4-liter &apos;four-barrel&apos; high-performance V8, will be up for auction in the UK in a couple of weeks. 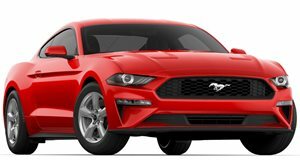 The original Mustang came equipped with two front bucket seats, black interior, and a four-speed manual transmission, and in 2008 it received an extensive restoration. A new deluxe interior was fitted including the rare overhead console with map lights, while the original wood grain dashboard, instrumentation and door panels were kept to maintain the car&apos;s character. The exterior is finished in the correct Highland Green metallic paint with blacked-out grille and tail lamp, and devoid of any insignias to replicate the original. A mechanical rebuild including the original &apos;Big Block&apos; V8 being re-bored, a host of new parts such as new cylinder heads, and custom-built four-branch exhaust has resulted in an output that far exceeds the original 320hp. New electronics, clutch & transmission, brakes, reinforced steering & suspension were also part of the restoration that preceded the Mustang being uniquely converted to right-hand drive. This example is far superior to the original, and has been rebuilt for reliable everyday use while having the look, sound and authenticity of the world&apos;s most famous Mustang.